Bellevue DUI defense Attorney with over 25 years of experience in drunk driving / DUI and Criminal Defense cases. Don’t let a DUI ruin your life; talk to me today so I can start working on your case. If you have been arrested or cited for Driving Under the Influence of alcohol and/or drugs, you’ve come to the right DUI defense attorney. You are facing some major consequences and stress that I can and will help you avoid or greatly minimize. The consequences of a DUI conviction can be extreme, with 2 proceedings if your breath/blood alcohol concentration (BAC) was 0.08 or higher. In addition, to the criminal charges, The Department of Licensing (DOL) will seek to suspend/revoke your driver’s license before trial in a separate proceeding. Choosing me as your DUI defense attorney is the right decision. I have extensive experience handling hundreds of DUI cases in Bellevue Municipal and District court. If you are convicted of DUI there, you may lose your driver’s license and could go to jail. Most DUIs are Gross Misdemeanors, with few days to maximum of 364 days (rare) for a first offense. However, repeat offenses will have much larger penalties based on a complex formula. I can tell you the details of what you may be facing in a free initial case evaluation and consultation Fines up to $5,000, 5 years’ probation, ignition interlock device, potential loss or denial of employment, denial of student loans or school attendance, a noncitizen deportation and being unable to visit some countries outside the US (such as Canada). My clients say they immediately felt better after their free initial case evaluation and consultation. Learn all of your defense options and see how I can help. Bellevue DUI defense Attorney with over 25 years of experience. I use the most effective, advanced and proven DUI defenses, and effective ones other lawyers are not experienced with. Afterall, I’m dedicated to getting you the best possible result. In fact, my track record shows that my clients go to jail much less often. My key strength is down to me not being afraid to do everything legitimately possible to defend you and preserve your freedom. I am effective, but tactful, in court and have an excellent charge reduction/dismissal rate. Without a doubt, I effectively stand up to the prosecutors and the police to fight for a good outcome. In fact, I have successfully handled over 1500 DUI’s as a defense attorney with 3 decades of experience. Furthermore, I look at far more than just the number of the BAC, including the real reason for the stop. For example, inconsistencies in the police reports, whether there were maintenance issues, false positives and other flaws with the specific test BAC equipment used to measure your alcohol level. More importantly, I make numerous challenges to DUI blood draws, questionable police procedures, your driving history, and scrutinize all witnesses, statements, and video obtainable from the prosecutor and other sources. I am available 24/7 and empathetic to your DUI legal ordeal. I keep my practices fairly small, so I have time for each client. In the courtroom, your attorney is probably your only friend. I want to keep your record clean and keep you out of jail. Do not settle for an inexperienced or timid attorney. Get results! Get the best! Let’s get to work right away to minimize or avoid the potentially huge damage you and your family face from your DUI charge. Reasonable fees. Credit cards accepted. Don’t delay. Get help. Contact me now. Have you been charged with DUI? Being charged with a crime in Seattle can be a scary experience that could result in serious consequences that negatively impact you both personally and professionally. 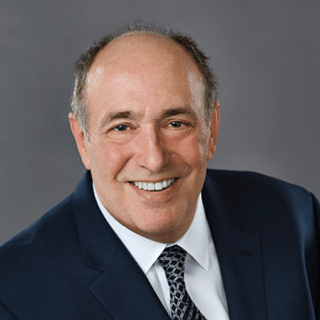 Bellevue DUI Attorney with over 25 years’ experience, Attorney Phil Weinberg consistently obtains excellent results for his clients in and around Bellevue, Washington. If you need effective legal representation for your DUI, call Phil at (425) 455-4784. Besides Bellevue DUI Attorney Phil also has experience in a range of criminal defense areas. Hiring an accomplished lawyer to represent you is the first and most important step you must take if you’ve been charged with a crime in Bellevue. Attorney Phil Weinberg will provide you with the personalized service and experienced legal representation you deserve. In fact, for over 25 years, Phil an experienced Seattle DUI Attorney has been defending those accused of Drunk Driving / DUI, Assault, Domestic Violence / DV and Drug- and Theft-Related Crimes in and around the Seattle area. Don’t wait, don’t delay – call (425) 455-4784 today. Having an experienced, tactful but relentless defense attorney on your side as soon as possible can make a substantial difference in the outcome of your case. If you’re looking for experienced and effective legal representation for a Drunk Driving / DUI or other criminal charges call (425) 455-4784 to schedule your free personalized case evaluation and defense overview. Of course, Attorney Phil Weinberg will be available to answer questions or meet in-person as he builds a defense plan tailored to your unique situation. DUI arrestees stopped in Bellevue’s city limits by the Bellevue Police are prosecuted in Bellevue District Court. This is is one of the east Division satellite courthouse facilities of the large King County District court system. Bellevue’s courthouse is located just south of SE 8th near I-405 in South Bellevue. Arrestees are booked into the Bellevue Jail and breath testing is administered there. If you refuse or if drugs are suspected, you will be taken to Overlake Hospital, still in custody, and your blood will drawn by a hospital phlebotomist and given to the police as evidence. Subsequently, this will be processed by the Washington state Toxicology lab, which can sometimes take months because they are severely backlogged, and some are then transported to King County jail. If your DUI was a repeat offense or you got into an accident in which someone was hurt or major property damage occurred? Perhaps you had a child passenger (under age 16) in your vehicle? Then you may easily face the Bellevue court setting a bail and other burdensome conditions of release at your first appearance. These can include requesting the judge to impose Ignition Interlock Device (“IID”) or a ‘SCRAM” or ‘TAD’ device (another ankle bracelet that measures for alcohol consumption from your skin). Also, Electronic Home Monitoring (EHM”), and other conditions of release at your arraignment may be in place. Then you must have an experienced private Bellevue DUI defense attorney at that arraignment hearing representing you then and throughout your Bellevue District Court DUI prosecution. I have defended many hundreds if not thousands of DUIs over the past three decades. Also, well known in this court to the judges and the prosecutors in the Bellevue District Court. In the courtroom, as a criminal Bellevue DUI defendant, even on a first-time DUI offense, your private Bellevue DUI defense Attorney and criminal defense lawyer may well be your only friend. The first hearing is a pretrial hearing and will ordinarily be roughly 3-8 weeks after the arraignment. Furthermore, it will depend on how congested the court calendars are at the time. In fact, many things need to be discussed and done to prepare for that hearing. I know how the system works and what the Bellevue City Prosecutors will likely seek from the court against you. I also know which private evaluators and treatment professionals to refer you to so we can prepare a defense. In addition, there are almost always more things I will ask you to proactively do in order to optimize your defense. For example, attending a 90-minute DUI Victim Impact panel and obtaining an alcohol/drug evaluation (and in some cases, a mental-health assessment, too, if you are willing to do so). Other things could include performing some voluntary community service hours, when applicable. As an experienced DUI Attorney, I think your case can be dismissed on good pretrial motion practice or won at trial. I will not recommend that you do these things, but you must want and agree to go to trial; this is never my decision – it is yours alone. But I help you reach your decision based upon the strengths and weaknesses of the case and the charge(s) filed against you. Furthermore, there may be several pretrial hearings while I am negotiating or preparing for the trial. Thus arguing pretrial motions to suppress evidence or dismiss the case, or both, and gathering all available evidence to support our defense plan. Don’t be a ‘sitting duck’. Go to Bellevue District Court with an experienced, seasoned Bellveu DUI defense attorney on your side. I go all-out for my clients and am especially well-known in the Bellevue. Moreover, I work hard for it and consistently get excellent, even amazing, results for my clients in the Bellevue District Court. Please call me now. With DUI defense experience at obtaining successful, often amazing results for my clients. Hence, I am here to help you get an optimal and dignified result. Dismissal must always be the first goal, but if it cannot be had in your matter. I am extremely successful in avoiding jail time for my clients. Call now. I look forward to showing you what I can do to help and to protect and relentlessly fight for your rights in Bellevue DC. Why not call me now? We can go over your case a bit by phone and then make a quick office appointment for a more in-depth meeting at my Bellevue Office in the Key Center, in Suite 1900. The address is 601 108th Ave NE, Suite 1900; Bellevue, WA 98004. Besides serving King County cities such as Seattle and Bellevue. DUI Attorney Phil Weinberg also defends DUI cases in Snohomish County. For example, Lynwood, Issaquah, and Everett. Attorney Phil is always up to date with changes in the law. For example the House Bill 1614, which has strengthened the law around DUI. Hence, if you’ve been caught on 4th July, New Year’s day or any other day? Contact Phil today. Criminal Charges in the Seattle & Bellevue,WA area Call Phillip L. Weinberg Attorney at Law.